Dwarf Sports Association UK athlete, Randika Doling has been selected as an ambassador for new nationwide campaign, Together We Will. The campaign is encouraging and motivating disabled people, along with their friends and families, to become more active. Growing up in Sri Lanka, Randika, who has dwarfism, often felt isolated living in a country with few opportunities for disabled people. Outside of her very supportive family, Randika struggled to establish a wider support network and did not have access to inclusive organisations to provide her with advice and support. Despite her passion for sport, Randika was unable to find accessible opportunities to stay active together with her friends and play competitively. At the age of 20, Randika moved to the UK to study Special Education Needs and Psychology at the University of East London to gain skills and knowledge that she could then offer to others as guidance and support back home in Sri Lanka. Keen to stay fit and healthy while studying, Randika was told about the Dwarf Sports Association UK (DSAuk). DSAuk introduced her to lots of new sporting activities and a local support network. This is where she found her love for badminton. DSAuk is the National Disability Sports Organisation for people with dwarfism and restricted growth conditions - they promote and provide regular sporting opportunities for children and adults across the UK. 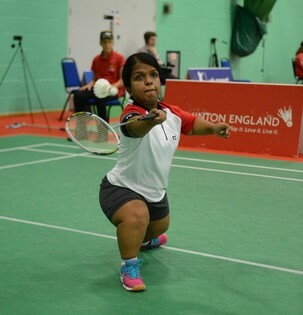 Randika blossomed in the sport, she has gone on to compete at both DSAUK national events and win a Gold medal in the 2013 World Dwarf Games. Last September, Randika represented Sri Lanka at the Para Badminton World Championship, taking away a bronze in women’s singles and silver in women’s doubles. She is now ranked 3rd in the world in her class (SS6). Randika and her husband Paul, who also has dwarfism, enjoy staying active together and have played badminton together for the last three years at No Barriers Sports Club in Hounslow. Now after recently moving to Cheam, they keep themselves fit and healthy at Sutton and Cheam Badminton club and at the Wimbledon Racquets Club. The active couple have recently stepped up their training with the 2017 World Dwarf Games in sight and have called upon the expertise of Ben Beckham, Head Coach at the Wimbledon and Racquets club, who now coaches them on a weekly basis. Commenting on Randika and her enthusiasm for being active, Nigel Burton from Dwarf Sports Association UK said: “We are pleased that DSAuk has been able to support Randika in finding an activity that she and her family can enjoy together. It is great to see the progress Randika has made after being sign-posted to Dwarf Sports Association UK (DSAuk). Randika now has her sights set on starting a Foundation in Sri Lanka similar to DSAuk. To raise awareness of sport for disabled people and encourage more disabled people to take part in sport and exercise. Together we will. 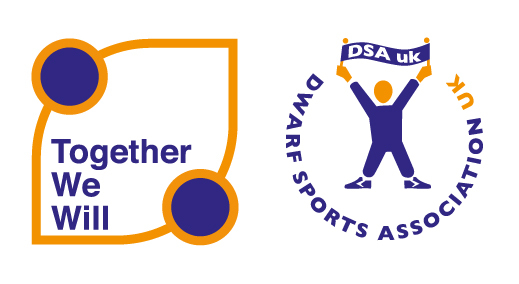 For more information on Dwarf Sports Association UK and activity opportunities for people with dwarfism please visit www.dsauk.org or call 01246 296 485. For more information about Together We Will and support on how you can be more active, visit www.efds.co.uk/together.